The windows and doors in a home play so many vital roles, but often are ignored for years at a time. As long as they open and close, they’re fine, right? If your Minneapolis area windows and doors are warped, cracked, or difficult to open and close, you are losing hard earned money month after month to inflated energy bills. 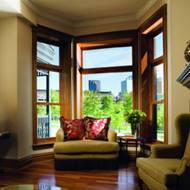 These bills can be easily and dramatically lowered by installing new, energy efficient replacement windows and doors. New windows and doors are an investment, but the benefits of installing advanced, energy efficient products far outweigh the costs. Reduced energy bills, limited UV light exposure, and a more quiet, comfortable home are just a few of the results of having Twin Cities Siding Professionals replace your older windows and doors. Plus, the windows and doors we install are elegantly designed by expert manufacturers and will add lasting beauty to your home. As with all of the home improvement products we install, our windows and doors are backed by industry-leading warranties. When you turn to Twin Cities Siding Professionals for new windows in St. Paul or Minneapolis, you’ll receive a valuable return on your investment that will be fully protected for years to come.